As the skin ages, the elasticity that gives it its youthful, vibrant look begins to break down and wrinkles appear on the forehead, around the mouth, and under the eyes, as well as in the neck area. Board-certified dermatologist Dr. Haven is committed to helping her patients discover a younger, more refreshed appearance through the use of minimally-invasive procedures such as Botox Cosmetic. Botox is one of the most commonly used wrinkle treatments for fighting the signs of aging. Botox can diminish the appearance of stubborn fine lines and wrinkles on the face and neck without requiring invasive surgeries or long recovery times. The treatment is injected into the skin and causes little to no discomfort with no downtime afterward. Composed of botulinum toxin, Botox treatments relax certain facial muscles to smooth away and prevent the appearance of wrinkles. 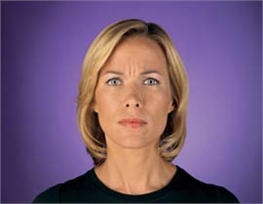 Botox is commonly used to treat frown lines, crow's feet, forehead wrinkles, and loose skin on the neck. After consulting with Dr. Haven regarding treatment goals and desired outcomes, one or more injections will be given to the treatment area. Patients often start seeing changes within 24-48 hours and results can last up to four months before additional treatment is needed. As an Allergan Top 250 Provider, Dr. Haven is the top Botox and Juvederm injection specialist in Greenwich and Fairfield County. She is a member of the Botox Cosmetic National Education Faculty and teaches other physicians Botox techniques. Dr. Haven personally selects and administers the best treatment plan for each patient. Botox can also be used in the underarms to combat excessive sweating (hyperhidrosis). Other minimally invasive anti-aging treatments include Juvederm, Dysport, and laser skin resurfacing.